States of America (USA) and the United Kingdom (UK) to participate in a series of activities anchored by the organisers of Hollywood African Prestigious Awards (HAPA) and Sillicon Valley-Ned in conjunction with the African Technology Foundation. This was disclosed in a release, on Wednesday, by Comrade Moses Olafare, the Director, Media and Public Affairs, Ooni’s Palace. The release said that, on Monday, November 13, the monarch will pay a courtesy visit to the CA Legislative Team at the State Senate Office, Sacramento. opportunities for exchange international progrmmes. the bridge between Nigeria and the Technology capital of the world, Silicon Valley. giant automobile manufacturing Plant located at Fremont CA. Workshop for students with the State of California which will hold on Wednesday, November 15. Olafare said this would be followed by a dinner with The Kings and Music Awards Night slated for Thursday, while the Yoruba Indigenous Day with the African Community would take place on Friday. 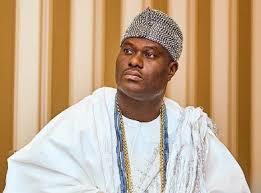 Ooni, who is the co-chairman of the Traditional Rulers Council of Nigeria, will also play host to the crew of the ‘Coming to America’ film to be led by the world famous actor, Eddie Murphy. ICC, Birmingham, United Kingdom on 25th. Birmingham and the Mayor of West Midlands. between the Kingdom of Ile – Ife and Birmingham City across Business, Investments, Education and Cultural Exchange. The monarch will return to Nigeria from United Kingdom on November 29.